Struggling to build Juggernaut coils? We can help! Coil building can be intimating when you first start out. But familiarizing yourself with the techniques and concepts can be as easy as 1-2-3. 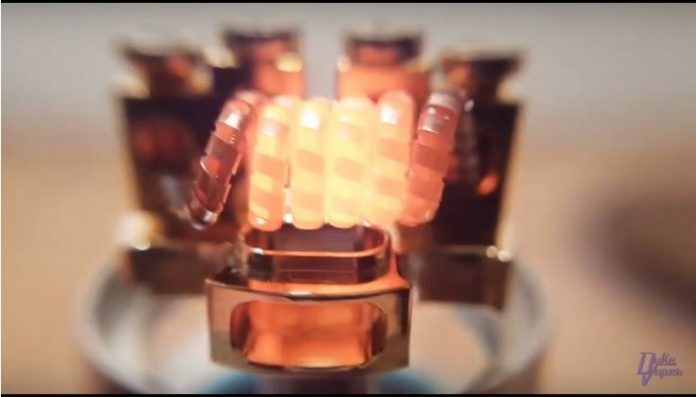 The Juggernaut Coil is no exception; the end product may look intricate (even impossible), but the steps required for successful completion are actually quite straightforward. Today we will be focusing on one coil build in particular, The Juggernaut. This coil is a combination of a two different metals, and requires a handful of simple building tools. Everything required for the build will be broken down into a material list, and material costs will be provided (for anyone on a budget). An “estimated build time” will also be included for each step, giving you a rough estimate of how long everything should take. NOTE: in the video tutorial, Vapestation spins the kanthal in the drill, holding on one end with the pliers, until the wire breaks. THIS IS NOT NECESSARY. It only takes about 3-4 seconds to straighten any gauge round wire kanthal on a cordless drill. Total time: 50.3 minutes | give or take! The Juggernaut coil is one of the easier coils to make. It will take time to familiarize yourself with the steps, but once you’ve developed a building technique, everything else will fall right into place. The juggernaut will generate a more flavorful vape, and absorb more e-liquid. Make sure you take you time wrapping ribbon wire around the straightened kanthal pieces evenly. If it’s your first time building a coil of this “magnitude”, remember to take your time, and expect delays. Juggernaut coils work great for single coil builds as well! Next articleSoupWire Launches with Biggest Giveaway in Vaping History!